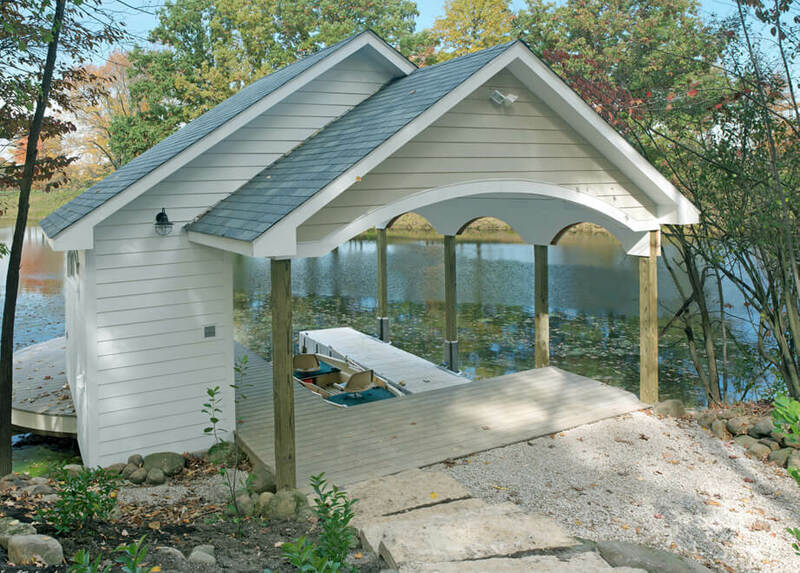 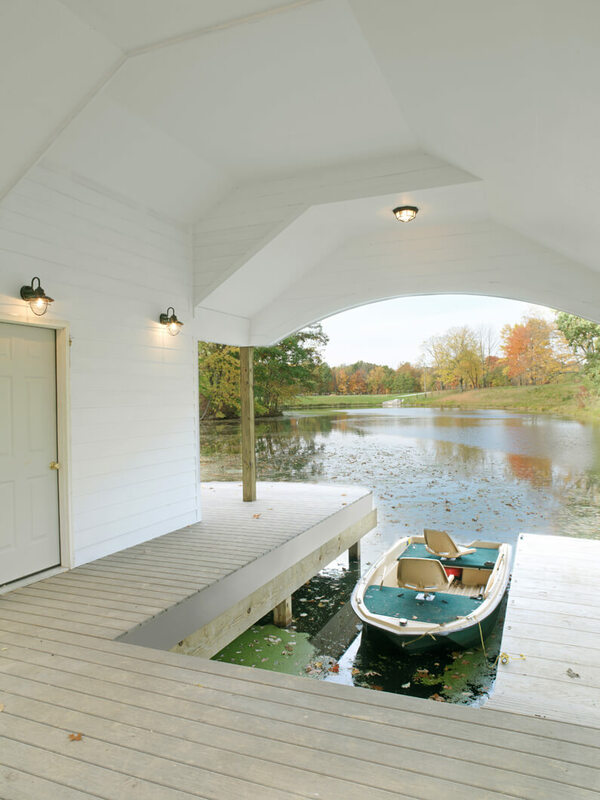 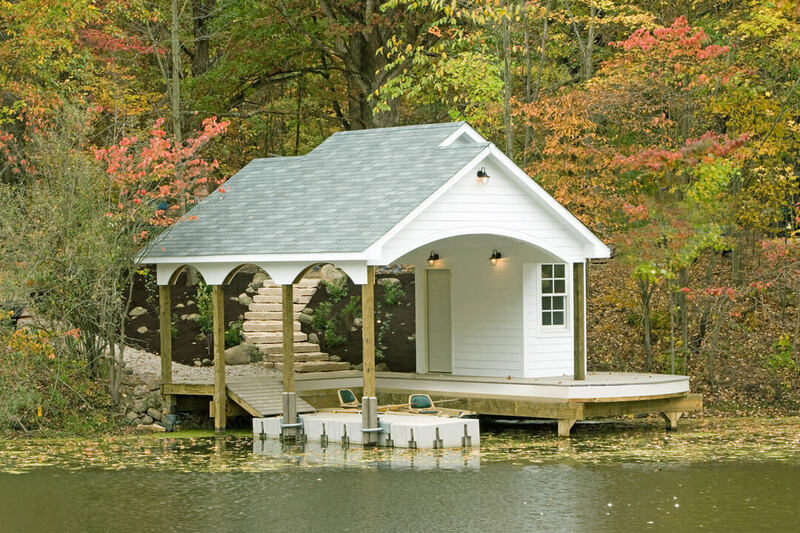 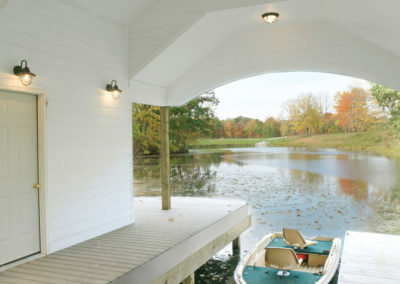 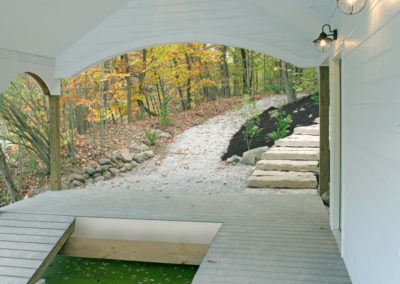 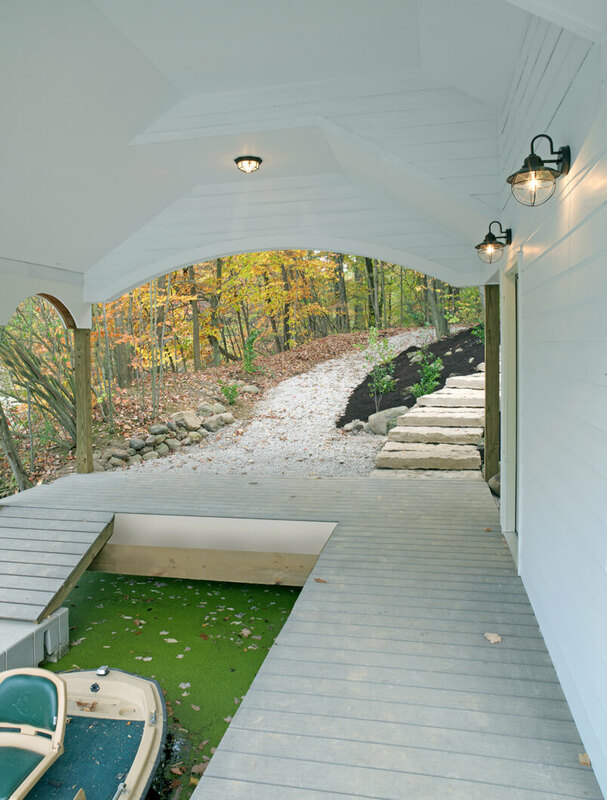 The aesthetics of the boathouse compliment the white sided style of the existing home with some fun twists of arches and rounded decking. 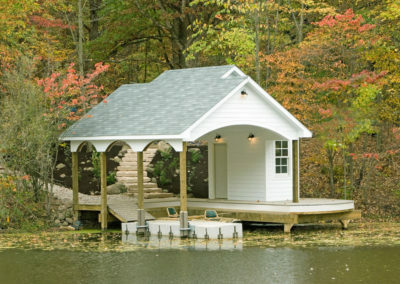 A small storage area was created for fishing and boating supplies. The floating dock area is ramped down from the fixed dock to allow safe access regardless of the water level or season.